You could have forgiven The Boileroom for not making a big song and dance of their ninth birthday last week and saved themselves instead for next year. But then, the popular independent venue in Guildford’s Stoke Fields isn’t renowned for doing things by half measures – least of all when there’s a party to be had. 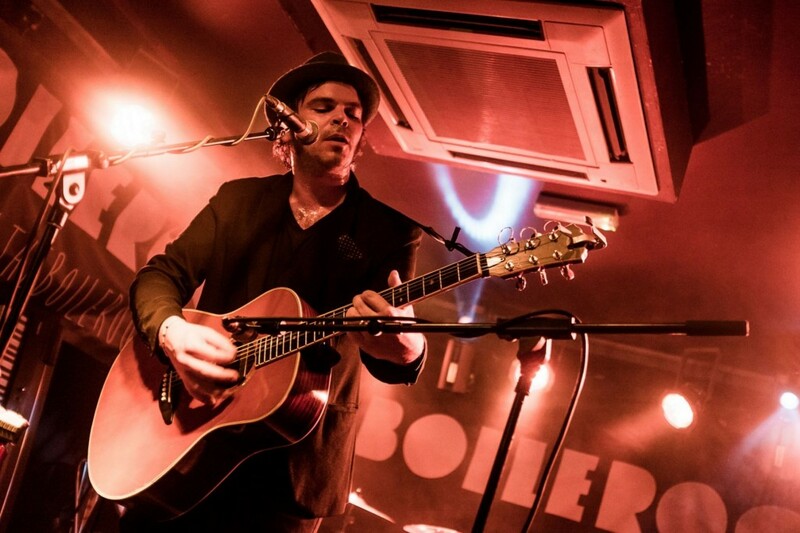 So what they did instead was pull off a coup booking former Supergrass frontman Gaz Coombes for an intimate solo show on Saturday night (September 19) to cap off the venue’s week-long birthday celebrations. Ably supported was Coombes by ex-Reuben frontman Camberley’s Jamie Lenman, who cuts an impressive, dapper figure on The Boileroom’s diminuitive stage, filling out every inch of it while switching effortlessly between airy pop anthems and a handful of more introverted, soul-searching cuts at a stroke – or a strum. All the time, there is a uplifting bonhomie among the patrons of The Boileroom as the clock ticks towards 11pm when Coombes, sporting his trademark pork pie hat and bushy mutton chops, saunters on, slung in an acoustic guitar. “Alright Guildford?” he drawls, before introducing a stripped back version of Detroit from his second solo effort Matador, released back in January this year. The perky Hot Fruit and sublime Girl Who Fell To Earth showcase succinctly Matador’s light and shade, while White Noise sees Coombes delve his 2012 debut Here Come The Bombs. 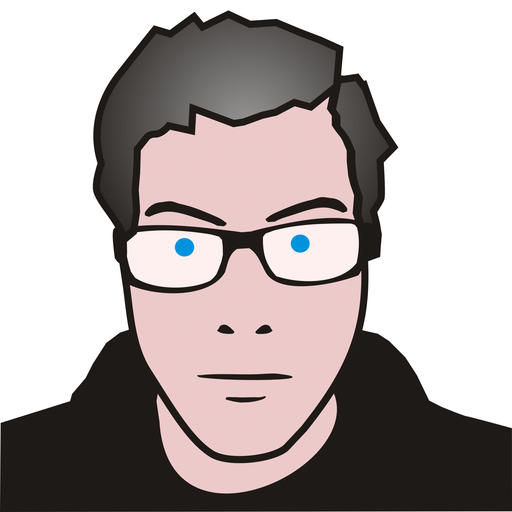 Now very much an established solo artist in his own right, Coombes has often been reticent about giving Supergrass numbers an airing. Two make it onto his setlist tonight, however. 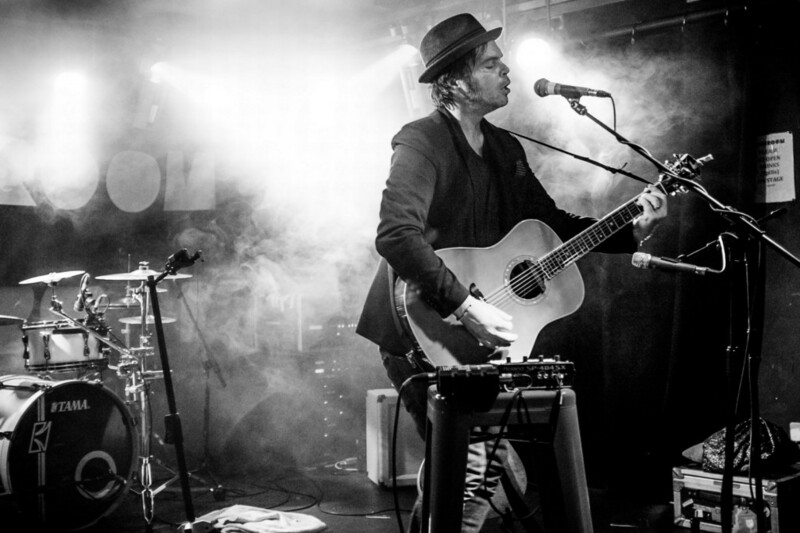 The first is Moving from Supergrass’s eponymous third album; a crisp, luscious croon that contrasts Coombes’ impressive vocal range against just a few modest chords while strains of “moving, just keep moving” elucidate the first real singalong of the night. It’s a mere warm-up though. “Hasn’t he got a song for Saturday nights?” shrieks someone in the audience as Coombes retires briefly before his two-song encore. He doesn’t disappoint. After the customary thanks and platitudes, he tears into Caught By The Fuzz, Supergrass’s first single and first bona fide hit – the song that made their name. “Just like a bad dream, I was only 15!” rasps Coombes as he recounts, some 20 years later, his very own tale of juvenile delinquency when he arrested for possession of cannabis. Cue pandemonium. Everyone’s up, everyone’s bouncing, bellowing every word at the top of their voices as if it were 1994 all over again. Closing out with a final solo number, it’s all over in a flash – good night and God bless from Coombes, who leaves the stage complete – tantalisingly – with drumkit, bass guitar and keyboard all set up. But besides a few Chinese whispers, and a few conspiracy theories, there’s to be no twist in the tale. Coombes et all firmly closed the book on Supergrass more than five years ago and with his solo career thriving, don’t hold your breath for a reunion any time soon. It doesn’t take long for him to emerge from backstage to share a good hour or so chatting with his fans, signing autographs – even posing for a few selfies. 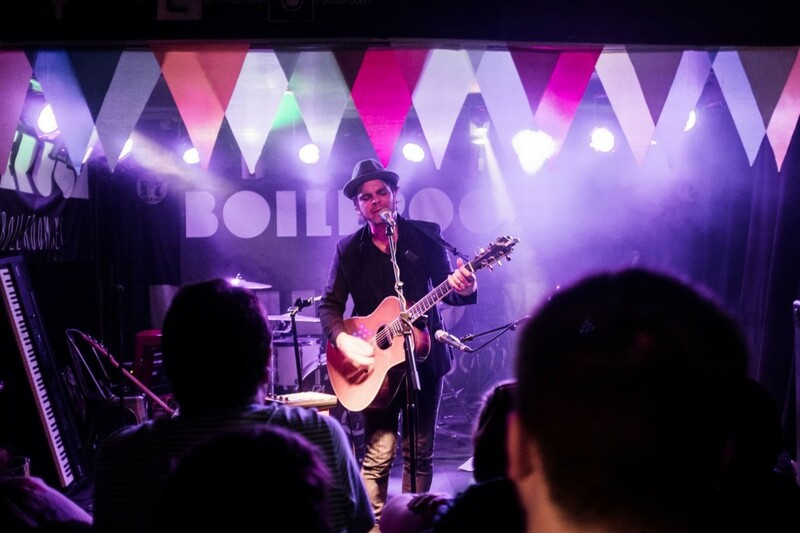 It’s an exultant end to The Boileroom’s ninth birthday celebrations, while leaving just one question unanswered; what on Earth are they going to do for next year’s 10th to top it?